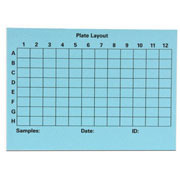 A note pad that corresponds to the layout of a 96-, 48- or 24-well plate. 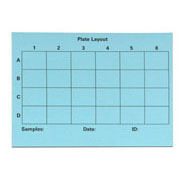 A fast and easy way to keep accurate records of samples in a microplate. 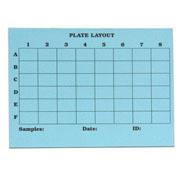 The adhesive backing allows the researcher to affix individual sheets into a notebook. The pad contains (50) 5" x 7" sheets.